Rice is very integral part of Indian culture. A jewel of cereals. We often relate rice with weight gain and pouting belly. But amongst so many types of rice, there are a few best rice for weight loss. Read on to know about which is best rice for weight loss. Rice symbolizes nourishment, prosperity and beauty. It is widely used as Indian confetti during weddings and ceremonies. Rice is also a staple of Indian diet since centuries. Asian countries traditionally have a high consumption of rice. 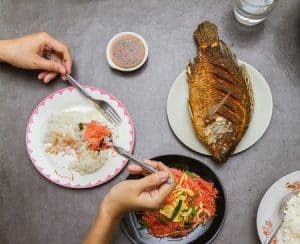 This is bit controversial because their food is high in starch content that spikes blood sugar and insulin levels.However, traditional Asian diet is also high in fiber from fruits, vegetables, that balances the nutritional value. Apart from the regular white rice, that mainly contains only starch , there are several other varieties of rice . Lets us see the various types of rice and which is the best rice for weight loss. It is widely used in households. White rice is the easiest food to cook and digest at any time of the day. Thus, recommended for children and elders. It also relieves digestive disorders such as diarrhoea, dysentery, colitis and even morning sickness. The best Indian rice to consume. It has less starch and calories. Brown rice is an excellent source of soluble fibre, because its bran is intact. The oryzanol present in brown rice helps to reduce bad cholesterol. 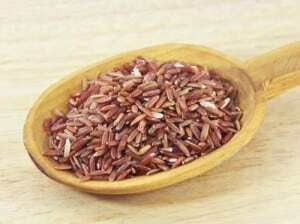 Red rice has a good amount of iron. It contains vitamin B6, balances the formation of serotonin and red blood cells. It also helps in the production of DNA cells.The fiber and low GI regulates blood sugar and insulin. It has a high content of copper. This strengthens the body’s connective tissue. The antioxidants present in sticky rice enhance immune system and promotes healthy brain function. 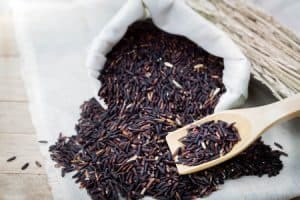 Black rice has highest amount of antioxidants compared to other rice varieties. Thus, it is beneficial for patients who are suffering from Alzheimer’s and diabetes. It has high iron and vitamin E content. Basmati rice contains 20 % more fibre compared to most of the other Indian types of rice. It has a low to medium glycaemic index. It releases slow and steady energy. It contains essential and non-essential amino acids. Thus, it helps to reduce muscle pain in the body. Parboiled rice is fortified with calcium, iron, magnesium and potassium. It is also beneficial for people suffering from diabetes. Where to find these Types of Rice ? These varieties are easily available in any health-food stores, ethnic markets and larger supermarkets or you can order it online. So based on the above mentioned details of type of rice , we can conclude that Brown rice is the best rice for weight loss. To know about how Brown Rice helps you with Weight loss , check this – Brown Rice for weight Loss. How Does Rice help in weight loss? 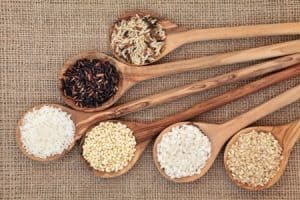 A 12-year study in women shows that those with the highest intake of dietary fiber from whole-grain foods had almost a 50% lower risk of major weight gain. This is attributed to the fiber that increase feelings of fullness and make you eat less. People eating brown rice instead of white may lead to weight loss and more favorable blood fat levels. 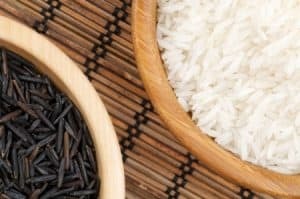 Korean women study shows that mixed rice (black + brown) consumption three times a day results in weight loss. You may be wondering about this best rice for weight loss, and its technicalities. 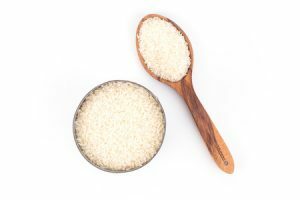 Well, Factors like glycaemic index, fiber content, type of cooking and portion size decides the effect of rice on body. Rice provides a perfect blend of nutrients for people training hard or having active lifestyle, for best performance. White rice is a sodium-free food. It is beneficial to maintain normal blood pressure. White rice has a high glycaemic index. There is sudden spike in blood sugar levels. Thus, diabetics need a professional advice as to what quantity of rice is allowed for them. 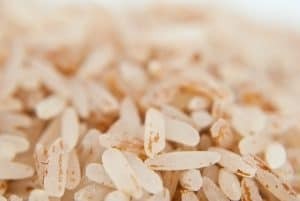 Brown rice has low GI compared to polished rice. It helps in regulating blood sugar levels. Diabetics can replace normal rice with brown rice for better sugar control. Bran of brown rice contains minerals and antioxidants. This helps in regulating blood pressure, prevent risk of colon and breast cancer, strengthening of bones, reduces risk of heart diseases. The low fat content helps in preventing gall stones. Selenium in sticky rice helps in providing anti-oxidative action to the body. Manganese helps in lowering cholesterol and carrying out different metabolic reactions in the body. Rice is low in fat. Thus effect on weight depends on serving size and the quality of the diet followed. Eating rice from large plates or bowls unknowingly increase calorie intake. Large portions mean consuming more calories that leads to weight gain. Wash the rice 2-3 times before cooking it. Do not boil rice in water and then throw away the starchy water. Instead pressure cook the rice. This will prevent loss of water soluble vitamins. Add a fibrous food along with it for better digestion and absorption. Eat khichdi. With dals it is the best protein and carbohydtrate source. Eat rice along with mixed vegetables. This provides the required fiber and balances the glycaemic index of the meal. It will prevent from sudden blood sugar spike. Fish and Rice combination is a complete meal in itself. Unprocessed rice or coloured rice is much more nutritious than white rice and hence it is the best rice for weight loss. Non-sticky rice may also be the better choice for people who are sensitive to blood sugar swings or have diabetes. As “Mulan”, the emperor of China said, “a single grain of rice can tip the scale. One man may be the difference between victory and defeat”.Similarly, a cautious use of rice in right amount and correct mode of cooking will benefit more than harm. I am a big foodie, and I can’t live without rice, and day by day I am also gaining my weight, but today you have given me the best reason to eat rice. I want 1400 calories veggitarian Indian diet plan to reduce weight. I’m 57 years old. Please Emil me food chart. 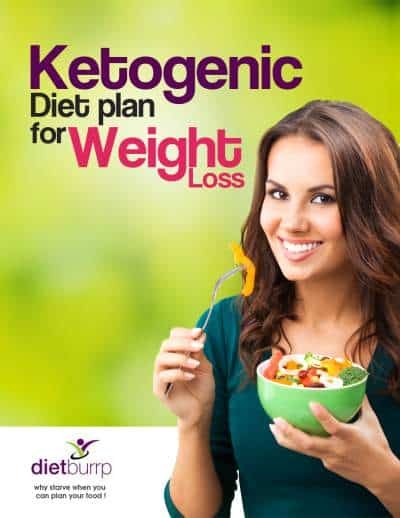 You can try following the diet plan mentioned above in the article.- http://www.dietburrp.com/indian-diet-plan-for-weight-loss/ this is a general 1200 calorie diet plan and has helped many. it may be of help to you as well. I am 33 and my weight is only 46 kg. My husband says i look good, and a lot of people around me are saying the same, but i know its not good for me. I am often very moody, weak, sleepy and unwilling to do fun things with my kids and husband.I dont like goin out, because Im always cold to be outside and we don´t live in very worm weather conditions. It makes my life very sad and is frustrated my family a lot. I am a mother of 4 children age 10 years, 5 years, 3 years, and 18 months. 3 girls and a son. My 5 year old daughter was born with a very serious prenatal trauma and is fully disabled. I don´t really know if i am sick or just so tired and down on myself but I wont to get out of this state. I read there are weight gain programmes and I would have like to try it out. Would you please send me anything you think could help me out. dont worry dear , gaining some weight will help you . dont stress much . i will pray to the almight to give you and yor darling daughter strength to fight all these. weight gain is a tricky process. you need to balance with calorie intake while making sure that the calories comes from healthy protein foods. 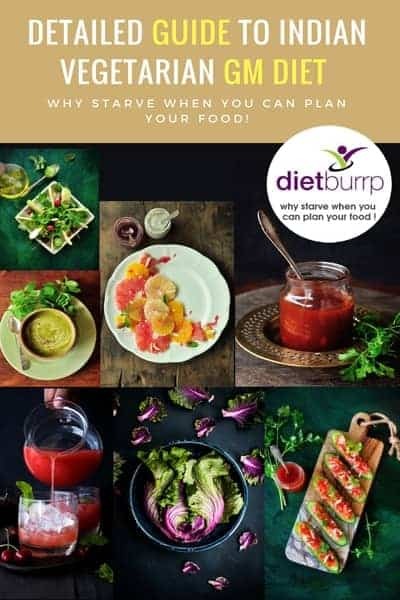 the diet chart mentioned in the above article – http://www.dietburrp.com/indian-diet-plan-for-weight-gain/ is a perfect way to provide healthy calories to your body.